Hey parents! Your kids are more vulnerable in the cyberworld than in the real one; play your part before it's too late. Being a parent, we teach our kids everything – how to ride a bicycle, how to read, how to drive, and everything that makes them well-being, in the world. It’s 2019, the world is connected so does our kids and they are more vulnerable to cyber threats than you and me due to there natural characteristics - innocence, desire for independence, curiosity, fear of punishment and what-not. Although it’s hard to be a parent, especially when you have to keep up with the technological changes affecting your kids. In between chauffeuring your kid to soccer practice and staying on their grades, there’s little time to show concerns towards online threats; do you know, ransomware, computer viruses, and identity theft happen to children every day. In short, we are responsible for our children’s online well-being too. When a child is using a computer, normal safeguards and security practices is not sufficient. You may think that the child is only researching a term paper, playing a game, or just typing a homework assignment, how he or she cause any harm? You’re right! But what if, while downloading the paper, the child unintentionally click a malicious web page that infects the computer with a virus? Or deletes a necessary program file? There are more “what ifs” one can think of. Mistakes happen, but what if the child may not realise what he/she's done or may be afraid to share with you because of getting punished? 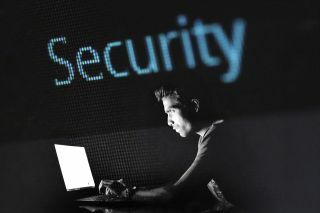 It’s a myth that malware and cyberattacks reside in the adult world, but interestingly, for cybercriminals, anyone with limited knowledge and a high level of trust is the best target. Cyberthieves target users especially children and teens where they’re active – social media, chat rooms, video streaming sites and online video games. To teach your kids in the right manner, we must know the depth of the internet usage behaviour and the extent to which our little champs engage with the cyberworld; let’s have a look! According to a study conducted at The Centre for Cyber Safety and Education in late 2018 among kids of grades 4-8; 40 per cent connected or chatted online with a stranger, let’s see how this 40 per cent contribute towards stranger danger. 53 per cent of them revealed their contact details to a stranger. 11 per cent met a stranger in person. 21 per cent spoke by phone with a stranger. 30 per cent texted a stranger. 15 per cent tried to meet a stranger. 6 per cent revealed their address to a stranger. 29 per cent kids use the internet in ways their parents won’t approve. 31 per cent download adult music. 21 per cent watch adult programs online. 6 per cent purchased online with a credit card without parental approval. 2 per cent searched for adult topics. 62 per cent went to adult site after a search. 31 per cent lied about age to access restricted content; ohh, it’s a status offence! In this cyber-centric world, we have risks and threats to ponder to provide a safer present and a secure future for our children. Every day, a new danger capture the headlines, from cyberbullying by schoolmates to online scams; identity theft, being the most widespread. What if your kid was in foreclosure on a property in another state? Why am I asking this? Consider these facts! Unused Social Security numbers are valuable, and thieves can pair them with any name and birth date; it’s useful for illegal immigration. A child’s identity is blank with the lowest probability of discovery, as the child won't use it for an extended period and parents don’t bother about their children’s identities. This could destroy or damage a child’s ability to win approval on loans (student loans), acquire a phone, obtain a job or a place to live. The primary attacks are illegal immigration (e.g., to obtain false IDs), organised crime (engage in financial fraud) . Look at the findings of a study “CHILD IDENTITY THEFT” by Richard Power back in 2011; though the study is pretty old, but we can sense the rising threats. 4,311 or 10.2 per cent of the children in the report had someone else using their Social Security number – that’ 51 times higher than the 0.2 per cent rate for adults. Child IDs are used to open credit card accounts, purchase homes and automobiles, obtain driver’s licenses, and secure Employment. The largest fraud - $725,000 - committed against a 16 year old girl. Interestingly, the youngest victim was five months old; 303 victims were under the age of five, 826 victims were between 6 to 10, 1212 victims were between 11 to 14, while victims between 15 to 18 were 1849. Why our teens need to be extra vigilant? Being proactive and staying educated on the online security front, risks facing kids and teens go a long way to keep them safe online. Parents, who understand the dangers and teach their kids, are likely to fire cybercriminals before they have a chance to strike. Below are a handful of the top cybersecurity concerns every parent should understand. Avoid messages with unusual typos, misspellings, and strange punctuation marks. Avoid messages asking for personal information like SSNs, credit cards, passwords, or PINs; no legitimate social media site correspond to its users about personal information through direct message. Be sceptical of messages claiming your account will be deleted unless a specific action will be taken. Don’t click mismatched links, to check the status, hover over a link with your cursor; make sure the bar address matches the intended destination. Practice these habits with your children. Visit sites like scam-detector and teach common ways how cybercriminals spread viruses via direct messages on social media networks to your kids. Anonymous sharing - We know it’s unsafe! Anonymous sharing is popular among teens and tweens, especially apps like Snapchat, Instagram, and others that allow image posting and temporarily messages, but the fact is that nothing on the internet is temporary. Cyberthieves and bullies can take screenshots of anything they like to use as a weapon against your kid, even before the image goes in the air after 24 hours. Although anonymous sharing promote healthy and open expression for freedom, but also make it easier to overshare. Before allowing your child to use any anonymous sharing app, discuss what information is safer enough to share and make them wary of messages containing links or attachments, which possibly contain malware or lead to phishing websites. Online video games - Kids can’t live without! Kids love video games, especially those that allow them to share their experiences with others; you’ll find some social component (direct messaging or chat) in almost every video game. Although such games build imaginations and relationships, but also creates a playground for hackers; don’t worry! Playing games like Minecraft, League of Legends or Roblox, won’t infect your system, it’s become a threat only when you leave the game’s website and land on another. Pop-up ads or chat links often lure with free coins, avatars, skins, and upgrades; once clicked, it will lead to a website to download an executable file. When opened, the program infects with malware designed to steal data, which may include your credit formation and passwords. While playing games, fake login pop-ups appear, asking to provide username and password to continue; sometimes these pop-ups use “under maintenance” requests which is a social engineering ploy to steal and lock player’s account. Hackers use botnets to send fake ads to players, asking them to visit websites for freebies. The botnet runs a fraudulent ad scheme; more the views and clicks, the more money for hackers. To help your child avoid phishing scams on video games, empower them with these tricks now! Teach your child “no free lunches” lesson. Teach your kid the common tricks hackers practice on video game websites. Everyday, YouTubers watch over 1 billion hours of videos (8.4 minutes per day per human.) This traffic draws the attention of scammers looking to hack to earn profit. Video sites like YouTube can’t bring a virus, but its comment section has the potential; clicking on a link in the comments section, can infect your device with malware. Show your kids, the problem areas: the comments section, what video ads look like and where links descriptions are inserted. Enable YouTube Restricted mode, that filter out inappropriate content. Download the YouTube Kids App to control their content through it. The comments section can also be turned off completely. It’s gross! What to do? Be proactive, not reactive! Set Up Parental Controls for all the devices and apps your kid is using; set their Facebook privacy “Friends Only” and block specific content for their streaming channels. Be involved - Try to do work together, be it researching a topic, playing a game, or putting a family newsletter. Keep the computer in an open area - In a high-traffic area, you will easily monitor the computer activity. Turn on two-factor authentication - It provides an extra layer of security beyond username and password to protect from account hijacking. Partition the computer into separate accounts - Worried that your child may access, modify, and delete your files? Give her/him a separate account and restrict the accessibility and the number of privileges she/he has. Get Antivirus Protection - Installing a comprehensive antivirus software will solve many of the problems outlined earlier; from avoiding malicious links to managing passwords, antivirus also keeps the data and identity safer and confidential.